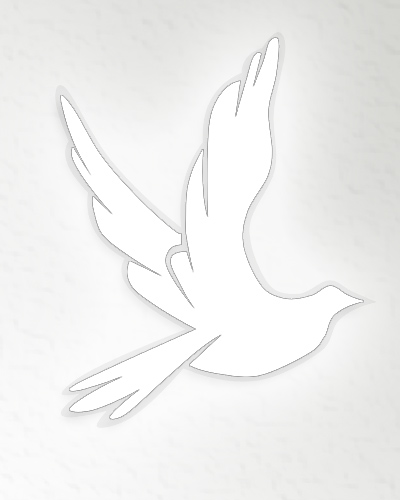 Obituary for Lavina Arbell (Pugh) Russell | Wellman Funeral Homes, Inc.
Lavina A. Russell, age 100, passed away and into the arms of her God and Lord Savior Jesus Christ in Circleville, Ohio surrounded by her loved ones. She was born June 19, 1918; to Elmer T. Pugh and Laura A. Miller Pugh in New Holland and was raised in nearby Atlanta. Lavina was predeceased by husbands Robert Carl Long and Ray L. Russell, sons James E. Long and Carl Eugene Long, and granddaughter, Patty Jean Long Streets. She is survived by children, Robert Max (Elaine) Long, Carlon Neal (Linda) Long, Sandra Long (Kenneth) Henn, daughter-in-law Elizabeth Long, grandchildren Jennifer Long, Susan Long, Michael Long, Lorna Bihary, Carla Summerville, Christie Cazes, Aaron Long and Kenneth E. Henn III, 14 great grandchildren and 5 great, great grandchildren. Lavina was a member of Circleville First Baptist and Pickaway County Senior Center enjoying many trips with friends there. Lavina was a loving mother and loyal friend with a wonderful sense of humor. She loved people and they her, and will be missed by many. Funeral services will be held on Monday, April 15, 2019 at 1:00 p.m. at the Wellman Funeral Home, Circleville with Pastor Billy Barbo officiating. Burial will follow in Springlawn Cemetery. Friends may call at the funeral home on Monday from 11-1. Memorial contributions are suggested to Brown Memorial or Circleville First Baptist Church. Online condolences can be made to www.wellmanfuneralhomes.com.